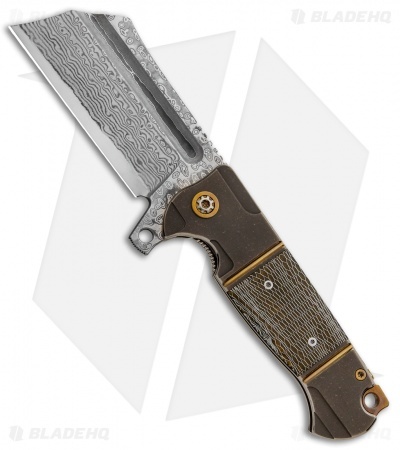 This Custom Battle Cleaver from Andre de Villiers has a two-tone, bronzed titanium handle with "Dragonskin" inlays and a massive modified cleaver blade made from Damascus steel. The Battle Cleaver folder is a beefy, solid built titanium frame lock knife with all the heft you'll ever need. 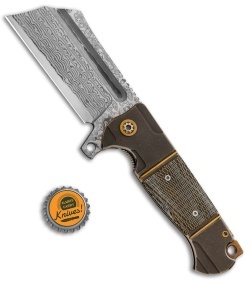 It's more than just a large knife, it offers an optimal shape that caters to in-hand comfort and control. 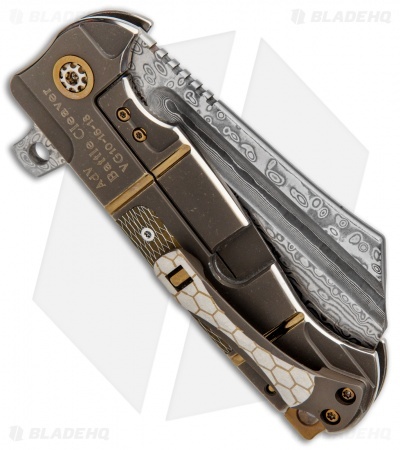 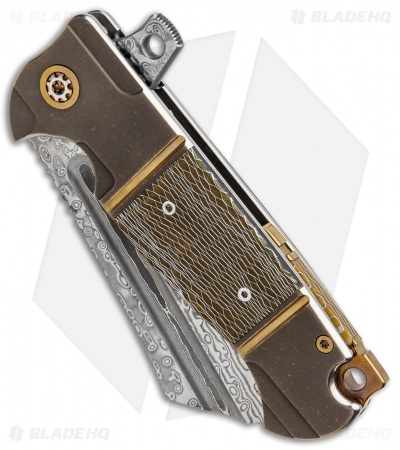 The C-Tek accented titanium backspacer lends a hole for lanyard attachment and the milled pocket clip is a solid touch to this outstanding knife.